Balvenie is a distillery I’ve always liked, even though, on account of the proprietors’ covetous attitude to their casks, there are very few opportunities to try it except in official bottling form and not all of those official bottlings are great. (Balvenie is owned by the same folks who own Glenfiddich and they do not allow independent bottling of their whiskies.) The iconic Double Wood, which was another of my (and many whisky geeks’) gateway malts back in the day seems to have slipped in recent years and I was not overly impressed by either the 10 yo Founder’s Reserve or the 14 yo Caribbean Cask (pleasant whiskies though both were). Reports of their affordable older whiskies, the 21 yo Portwood, in particular, meanwhile are all over the map and nor are the reports of the more experimental Peated Cask very encouraging. Still, I am a big fan of the Single Barrel 15 series and am yet to have a bad one. (Michael Kravitz, however, recently had a bad experience.) There’s something about that ex-bourbon profile–the series is all from single bourbon barrels at least 15 years old–that really suits Balvenie’s spirit and I always have a bottle or two on hand. I’m not sure what the fate of that line is now that Balvenie is releasing a Single Barrel 12, but I do hope it’s not going away or becoming prohibitively expensive. 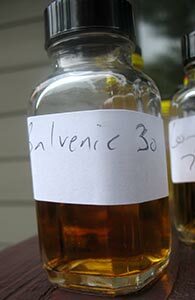 But tonight I double the age of the previous oldest Balvenie I’ve had with this 30 yo, or the “Thirty” as the distillery styles it. This is another of the Wedding/Birthday whiskies. I really, really liked this on that occasion and have been looking forward to evaluating more formally another sample of it that Rich was kind enough to share. I’m not sure if this is cask strength but I believe it is a vatting of both ex-bourbon and ex-sherry casks. And as per Rich’s notes this was from the 2012 release. Nose: Oh yes, there’s sherry in this. A mix of rich honey and caramel with dried orange peel steeping in it. Smooth and elegant. After a minute the honey and orange is kissed by some rye. A sour note appears that seems like it might lead to tannic wood but instead the citrus veers off towards lemon and there’s some highly reduced apricot chutney too now. Something a little leathery too. Oh, I could nose this for a long time. A drop of water brightens the nose up a little and there’s a faint hint of milk chocolate too now. Palate: All the honey and citrus and caramel from the nose but there’s a little more berry sweetness here at first and also more toasted wood after that. More peppery spice too and also just the faintest whiff of smoke. With water the fruit and the peppery spice/wood begin to talk to each other more loudly and some tropical notes enter the fruit salad (not a whole lot though–just a hint of papaya). Finish: Medium. The toasted wood is most prominent here but there’s nothing tannic about it and it’s a rather nice way to go out. Water does make the wood more tannic and just a little too peppery and bitter at the end. Thanks to Rich again for the sample! This entry was posted in -Whisky by Rating, 90-94 points, Balvenie. Bookmark the permalink. Balvenie is a top notch distillery. I always enjoy their expressions. But the price of this whisky offends me. My tasting experience was similar to yours. Comparatively the TUN is similar in profile, yet a third the price. Therefore the TUN is my preference. I actually own an independent Balvenie. Exclusive Malts had a 1989 Speyside single malt in their 2014 releases. Even though the distillery wasn’t named, reviewers were able to figure out/get unofficial confirmation that this was from Balvenie.